Nations on either side of the whale hunting debate are set for a standoff as the International Whaling Commission (IWC) meets Monday, with Japan hoping to overturn the 32-year-old ban on commercial whale hunting. "If Japan's proposals were accepted it would once again be open season on whales, so this is the most dangerous and reckless attempt to bring back commercial whaling that we have seen in decades," said Claire Bass, head of Humane Society International UK. Japan, which exploits a moratorium loophole to hunt whales for "scientific purposes," argues that recovering stocks of some species justifies a return to "sustainable whaling." Brazil is instead trying to rally anti-whaling nations behind a "Florianopolis Declaration," which states that commercial whaling is no longer a necessary economic activity, favoring increased investment in whale watching. 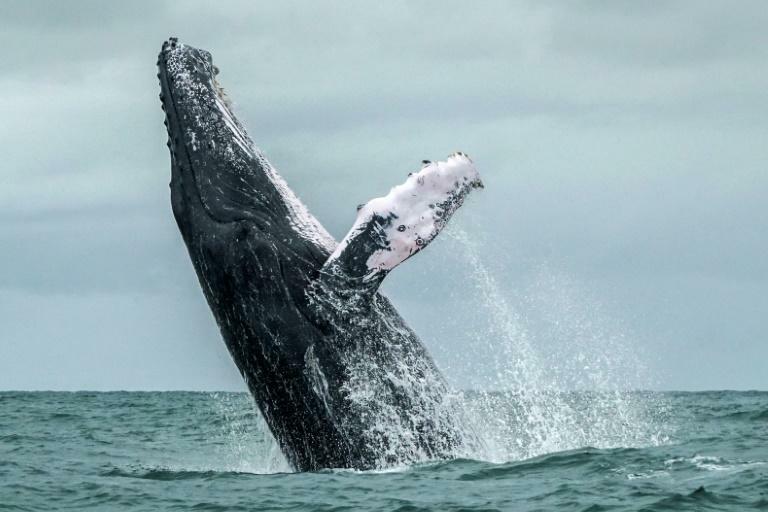 Nations opposed to whaling plan to renew a long-standing proposal for the creation of a South Atlantic Whale Sanctuary, after previous proposals were knocked down by the pro-whaling lobby. The Japanese delegation argues that stocks of Minke whales and other species have recovered, and proposes setting new catch quotas "for species whose stocks are recognized as healthy by the IWC's scientific committee." It would commit the IWC to re-establish commercial whaling quotas from 2020. Under its scientific whaling program, Japanese fishermen harpooned 333 Minke whales this year. Conservation groups are opposed to a proposal before the IWC to increase annual whale kill quotas for countries where aboriginal subsistence hunting is practiced, including the United States, Russia, Greenland and Saint Vincent and the Grenadines. The IWC, set up in 1946, meets every two years. The African island nation of Sao Tome and Principe recently became the body's 89th member.